In Extruded steel profiles a vast range of standard profiles are available. The material used in such Steel shapes profiles can be carbon steel as well as stainless steel. Extruded steel shapes gives its users a number of advantages that includes reduction in the needs of machining, finishing and scraps etc. 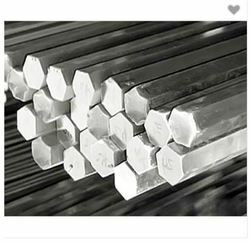 Nandishwar Steel deals in a wide range of Extruded Steel Profile. 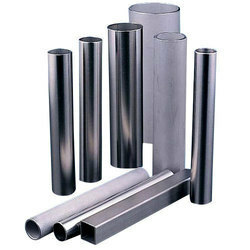 In Extruded steel profiles a vast range of standard profiles are available. The material used in such Steel shapes profiles can be carbon steel as well as stainless steel. Extruded steel shapes gives its users a number of advantages that includes reduction in the needs of machining, finishing and scraps etc. The steel profiles are typically hot extruded to the required specifications. In a steel mill, roller tables are used to for transportation of steel profiles between the workstations. A typical production line includes a double roller table between an extruder and the packaging machine. It is on the first roller table that extruded steel profiles get cut with shears. While on the second table, a hot saw is used to finish the cutting of the profiles. Hot extruded steel shapes are popular in material handling industry. Two popular applications include thick web and flanged structural steel shapes using extruded carbon steel channels and I-beams for use in fork lift mast rails.